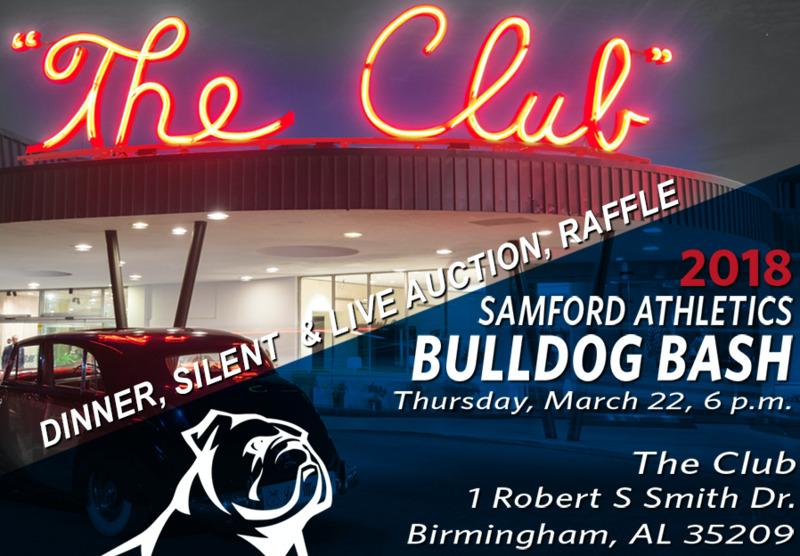 The Samford Bulldog Club will hold its ninth-annual Bulldog Bash March 22 at The Club in Homewood. The program will include seated dinner, silent auction and first-ever raffle. The evening will end with a live auction featuring professional auctioneer Jack Granger of Granger, Thagard & Associates. "The Bulldog Bash is one of two key fundraisers we have each year that provide much needed resources for our 360 student-athletes," Associate Athletics Director for Development and Strategy Hal Langston said. "Our event will be a celebration of Samford Athletics. We will highlight our athletic and academic success, but more importantly, we will showcase the difference that we are making in the lives of current and former student-athletes. This event would not be possible without the generous support of our donors and sponsors." For more information, contact Bulldog Club Director Maggie Rountree by phone at (205) 726-4307 or by email at mrountr1@samford.edu.